Interesting month, October. Wedged between sun-drenched September (the last gasp of summer’s beachy allure), and holiday gatherings (where looking amazing is not optional), October has emerged as prime time for rejuvenation, starting from the neck up. 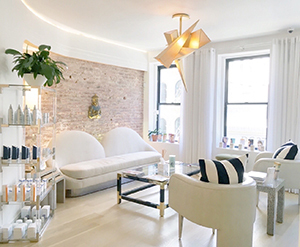 As a result, Manhattan’s savviest spas—whether iconic, trendy or both—have stepped up their game when it comes to facials, peels and a growing array of the latest high-tech treatments. In a dimly lit hallway where spa patrons and staff navigate from the lounge to treatment rooms, there’s a small, softly lit case displaying vintage bottles and jars. 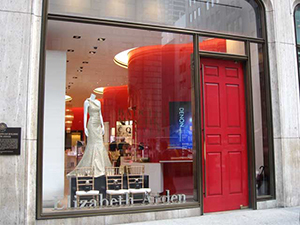 Upon inspection, you find they’re early designs approved by Red Door’s founder, Elizabeth Arden. A lovely sliver of history that meshes nicely with the ambiance of modern-day beiges with pops of Arden’s signature red blooming in well-placed vases. 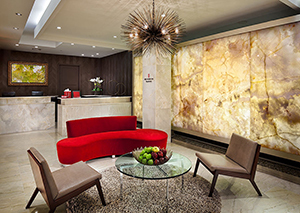 Red also makes a luxurious statement in other spa spaces, most famously the lipstick red sofa in the reception area. Arden would approve. As one would expect Red Door’s treatment menu is as expansive as it is luxe. In the area of facials alone, the spa offers a staggering 20 with the Elizabeth Arden Pro Renewal Facial chosen for me in advance. To address the broader picture of the flagship Red Door’s seasonal offerings, I called upon Angela Portella, Senior General Manager, The Red Door Salon & Spa New York. With changing seasons, she suggests a skin consultation with your aesthetician to address personal skin issues. “A favorite is often microdermabrasion which exfoliates, helps even skin tone, diminishes fine lines and preps skin for better product absorbency,” she says. For decades, The Red Door on Fifth Avenue has been a sanctuary escape, almost like a private club for all things beauty and wellness amidst the hustle and bustle of New York City. Today, it continues the legacy of over 100 years of skincare expertise. For more information on The Red Door Salon & Spa, visit thereddoor.com. The Tribeca backdrop is perfectly in sync with the youthful vibe of Park Avenue Skin Solutions. And while the area may be a work in progress—scaffolding, hard hats, drilling and so forth—once you step off the elevator onto the 4th floor of 116 Chambers Street, all urban chaos dissolves. A subtle scent—possibly pine?—sets a laid-back mood as you make yourself at home in the Living Room—a comfy, sitting area with a contemporary take on Golden Age Hollywood—and a full-bodied view of Tribeca’s eclectic architecture from an impressive bank of windows. Since its founding 14 years ago by Board Certified Physician Assistant Lauren Abramowitz, a lot has changed with the practice, from locale to technology to treatment options to client demographic to online reviews (five stars being the going consensus). A tour of the suite (slated for expansion shortly) shows off pristine treatment rooms, Abramowitz’s office (more killer views of the sought after neighborhood), and her incredible staff, including Erica Walters, MD, Abramowitz’s Medical Director & Medicine Practitioner. Not surprisingly, with Abramowitz and Walters’ medical credentials Park Avenue Skin Solutions is a star player in the aesthetics arena offering a range of state-of-the-art injectables, fillers and “lasers, lights & devices.” Tantalizing options for med-spa regulars but often scary for neophytes who would like to cross over to the invasive side but need a bridge as they weigh their choices. People like me whose dicey Botox experiment would have been sidelined had I employed Abramowitz in my skin/age/desired result consultant corner. 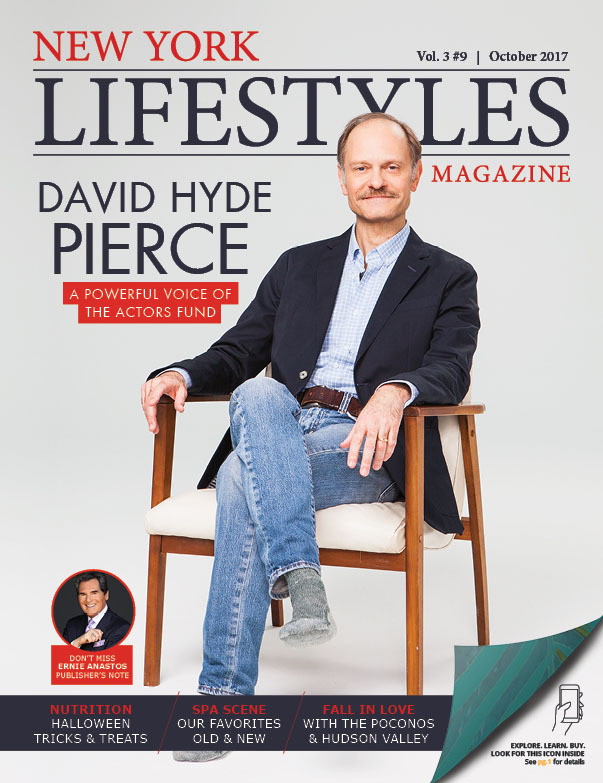 With all of their treatments, the key is a “hybrid approach” based on individual needs and age. Clients in their 20s are now regulars along with a growing number of metro males seeking skin repair and anti-aging solutions like the awesome Aquagold (the first of its kind utilizing micro-channeling technology). For more information on Park Avenue Skin Solutions, visit parkaveskin.com. Griffin Miller specializes in spa travel and New York theater. Her resume includes writing for The New York Times, For the Bride and Hotels. She also creates promotional materials for the Metropolitan Opera, BAM, and Guggenheim Museum. 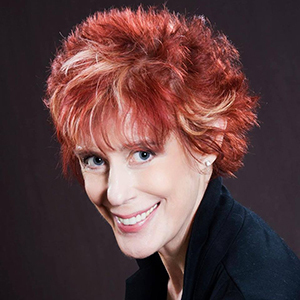 A member of The New York Travel Writers’ Association, she is a playwright and award-winning collage artist.